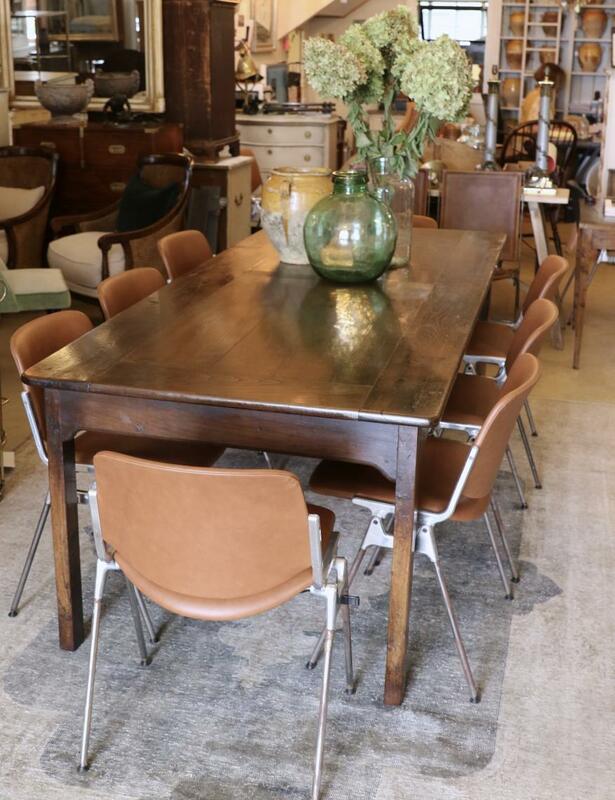 We love the patina, colour and panels on the top of this 19th-century French provincial dining table. Just look at that reflection! Perfect size, proportion and strength. Shot here with leather upholstered Castelli chairs. If you are interested in this piece or would like more details please call us on +64 9 529 1660 or email info@js.co.nz quoting #111-31.